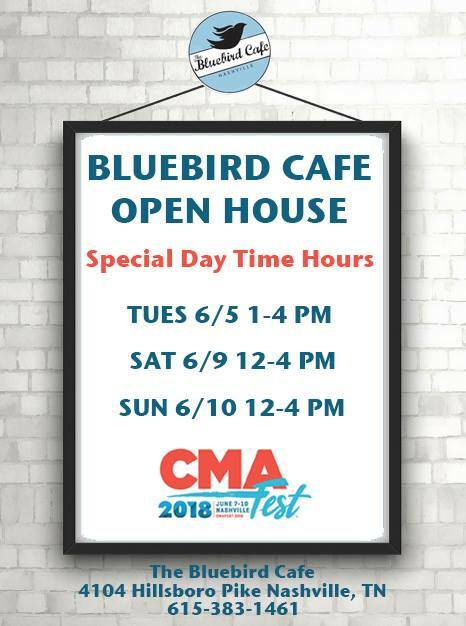 "Nashville's" Bluebird Cafe to Open During CMA Fest for Walkthroughs and Merch Sales! Ever wanted to take a peek inside the famous Bluebird Cafe that is featured in CMT's Nashville? Well here is your chance! 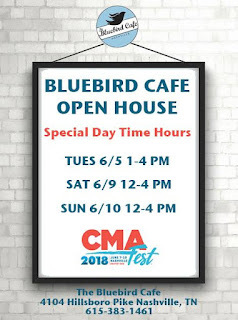 In addition to their two nightly shows, the Bluebird Cafe will be open during the day throughout CMA Fest week. You can view the Bluebird's full June calendar here!